Bhakti Yoga means surrendering to Love. It is an invitation to live from the heart and connect with the Divine. To apply that in all aspects of life can be challenging. This class is a sweet reminder, offering inspiring myths, mantras, and practical tools to cultivate unconditional love in our everyday life. Practice will start with a meditative self-inquiry and gentle breathing exercise to re-balance and vitalize. Guided by Indian Harmonium, the powerful vibration of mantra will relax the mind and awaken the heart center. The middle part of the class will include gentle sequence of postures, from slow to more dynamic and ending up in long gentle stretches. After Savasana there will be some more breath and sound to bridge the gap between mat and reality. A deep and fun yoga class, powered by Noëlle Sterk & Blanca Wennekes, founders of The Bhakti Groove. www.thebhaktigroove.com and location De Tempel. 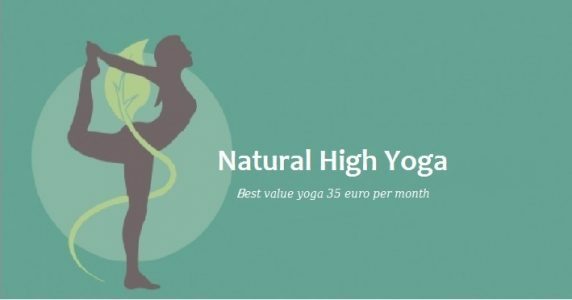 Noëlle Sterk is a visionairy entrepreneur and lifestyle artist, teaching various styles of yoga since 2008. Her work is inspired by the elements of nature, the rich philosophy of mystical traditions and health systems like Ayurveda and Chinese Medicine. She is also massage therapist, coach and designer of lifestyle programs and retreats. Check her website and full yoga CV on www.noellesterk.com. 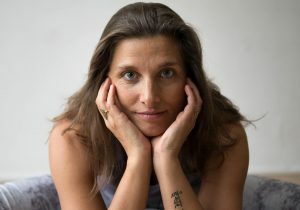 Blanca Wennekes: Besides being a practitioner since 2005, I am trained and certified in Raja Yoga (600 hours). I started teaching part time at the beginning of 2016 and at the end of that same year, after a 20 year corporate career, I felt the desire to quit that career to create space for my life purpose to guide people into more body awareness and vitality through yoga classes, workshops and retreats”.